The subject of trophy hunting has been a hot topic since July 1 — the day Cecil the lion was shot and killed. According to University of Alberta ecology professor Andrew Derocher, there are two approaches to thinking about trophy hunting: biological and ethical. Cecil was a well-known lion of Hwange National Park, Zimbabwe that had been part of an Oxford study. Though Cecil lived in a protected area, he was lured out by a team hired by an American dentist so he could shoot him with a bow. The public uproar that ensued pushed the dentist into hiding. While petitions with over one million signatures call for Zimbabwe to end trophy hunting and to have those involved in the Cecil’s hunting punished, lions continue to face their greatest, largely unpublicized threat: habitat loss. Trophy hunting, the practice of taking big, trophy-quality animals from populations, is not as big of a threat in comparison, according to Derocher. Biologically, whether the animal was hunted for sport or for food doesn’t matter; it is just an animal with supposedly good genes that is now dead. The biggest biological effect of Cecil’s death is likely that of pride social structure, and the lives of the cubs in his pride. “When you take out a dominant individual that’s holding a pride of females and is the sire of those cubs … very often another groups of males will come in … and kill all the cubs to reset the females’ reproductive cycles,” Derocher said. Populations that endure trophy hunting may eventually have fewer genes that allow animals to become big and dominant, since those individuals are removed before they are able to make a significant contribution to their gene pool. The long term result could be an increase of weaker offspring. We see such concerns in Canadian bighorn sheep populations, Derocher said. Ethically, trophy hunting comes down to moral and legal questions. The shooting of Cecil was legally vague, which is where the problem lies, Derocher said. But if regulated, African trophy hunts could bring economic stimulation to local economies and benefit the locals, similar to Arctic trophy hunts in the Canadian north. 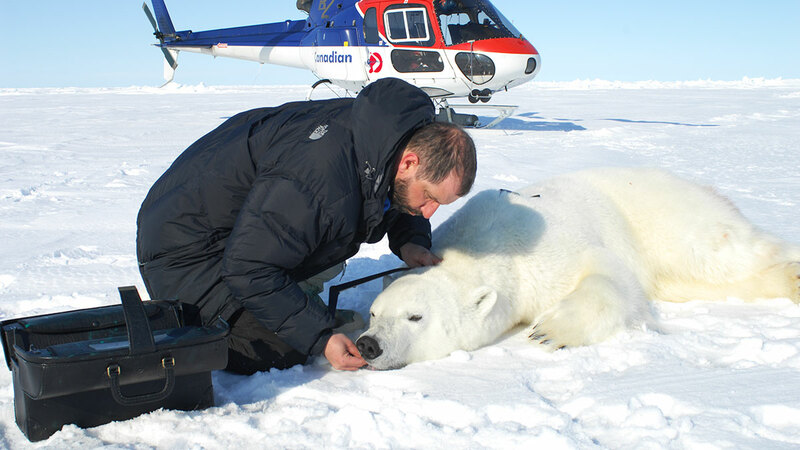 In Canada, about 50 polar bears are taken annually by trophy hunters. These hunts bring in revenue to areas of high unemployment and cost of living. With these hunts, licenses and tags are limited according what government biologists determine as sustainable. Though this hunt entered the global spotlight, many further-reaching conservation issues remain in the dark, such as the poaching of lesser-known species and habitat loss. “In reality, if this animal hadn’t been part of a big study … he would have just been another dead lion,” Derocher said. “And for every dead lion, there’s another dead tiger. There’s a dead leopard. A dead grizzly bear.